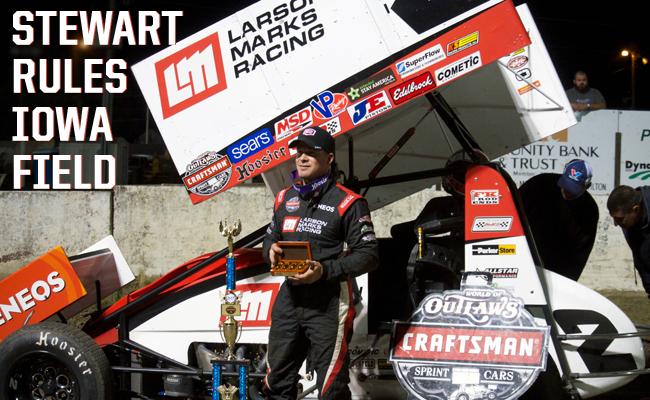 WEST LIBERTY, IA — June 23, 2017 — Bixby, OK-native Shane Stewart commanded the Larson Marks Racing No. 2 car for 25 laps through the checkers to win the World of Outlaws Craftsman Sprint Car Series debut at the 1/2-mile West Liberty Raceway. Behind him Kasey Kahne Racing driver Brad Sweet fought Jason Johnson for second to round out the podium. Stewart started the day out strong, qualifying second, but a bit of luck also came into play later that night. At the start of the West Liberty Hawkeye 25 Feature, both Johnson and Sweet got past Stewart, but a caution before the lap was complete forced a reset, giving him a second chance. This marks the third win of the season and the first this month for Stewart, who came to this event with a new crew chief, Lee Stauffer, at his side and now sits fourth in points standings, just four points past Daryn Pittman. Behind the leader, Johnson and Sweet fell in line throughout the first half of the race. Ian Madsen made an early run on Pittman for fourth, but some Turn 4 trouble in Lap 12 resulted in a tow off the field and the end of the race for Madsen. On the restart, Johnson just couldn’t steal the lead from Stewart, and Sweet took advantage of the fumble, charging past him for second. Despite additional restarts, the three crossed the checkers in just that order: Stewart, Sweet, Johnson. 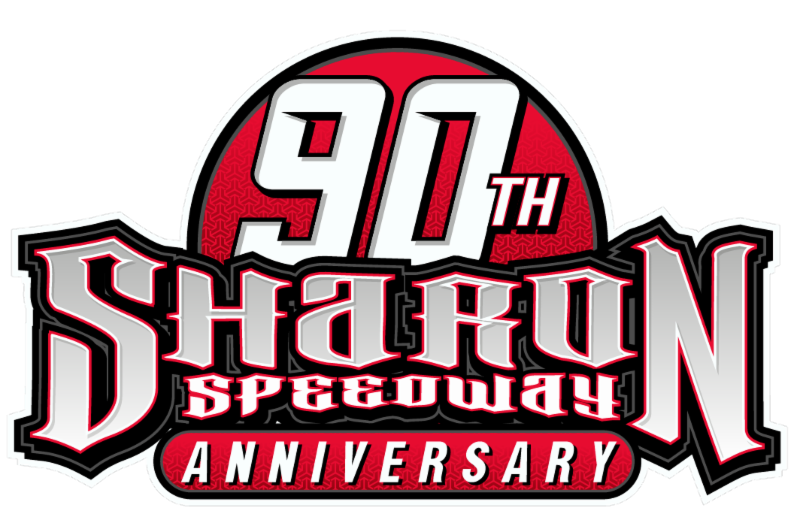 The battle between Stewart and Johnson commenced earlier, in the Craftsman Club Dash, with Stewart successfully stealing the lead for the win — a lead which Johnson had already stolen from Jac “Wild Child” Haudenschild during the Dash Draw. From the looks — and sound — of it, this was to be the Wild Child’s day. The twittersphere was ablaze all afternoon with news of his commanding the Stenhouse Jr./Wood Racing No. 17 car that night. And despite the many hard feelings aroused by Joey Saldana’s absence, fans rallied behind J. Haudenschild, who answered back with Quick Time in Qualifying, setting the track record with a 15.737. J. Haudenschild went on to win Heat 1 and was looking pretty great for the Feature until the Dash Inversion came in with a six, for a full-field inversion that set him back to sixth. There would be no win for the No. 17 that night as the Wild Child came in at 16. Meanwhile, the younger Haudenschild, who started the feature beside his dad, just one position behind, took over dad’s spot to come in sixth, and even held off Tony Stewart/Curb-Agajanian Racing driver and eight-time Series Champion Donny Schatz for half the race. The World of Outlaws Craftsman Sprint Car Series heads to Beaver Dam Raceway next for the Jim “JB” Boyd Memorial presented by Karavan Trailers on Saturday, June 24, 2017. Tickets can still be purchased online. Traveling in for the show? World of Outlaws fans get 20% off accommodations at a nearby Extended Stay America.